WELLARD released its 2018 financial year results to the ASX overnight, reporting a net loss after tax of $36.4 million, which compares to a net loss in FY 2017 of $75.3 million and a $14.1m net profit in FY 2016, since the company’s public float in late 2015. Included in the FY2018 results was a positive EBITDA (Earnings Before Interest, Tax, Depreciation and Amortisation) result of $9.9 million- a $32.2 million improvement on the EBITDA loss of $22.3 million posted in FY2017. The company said its strategy of sub-charting vessels in FY 2018, with 70 percent utilised on external charter voyages compared to just 15.6pc in FY2017, contributed to a 44.9pc increase in gross profit from $27.6 million in FY2017 to $40.0 million in FY2018. However, despite improving on the FY2017 result, the Wellard statement said the company was again in breach of banking covenants at 30 June 2018. In his annual report executive chair John Klepec said the company is currently in discussion with the Commonwealth Bank of Australia (CBA) to gain an extension of a working capital facility beyond October 2018. “As a consequence of the FY2018 financial results triggering a breach of a number of our banking covenants, all of Wellard’s long-term debt was required to be classified as being current. “As in prior years, the Company is in discussions with respect to waivers of covenant breaches on its debt facilities. “The Company is currently in discussion with the Commonwealth Bank of Australia (CBA) in regards to the extension of a working capital facility beyond 31 October 2018. The CBA have provided notification that a waiver is unlikely to be issued in respect of the covenant breaches at 30 June 2018 until these discussions are finalised. In the statement to the ASX Mr Klepec said the financial performance shown in the FY 2018 results was better, but reporting a loss was unacceptable. “The Board, staff and management are committed to returning Wellard to profitability. We are heading in the right direction, but there is still more work to be done,” Mr Klepec said. The ‘cost out’ program announced in 2017 which targeted a $10 million reduction in year on year operating and administration expenses in FY2018. Wellard said the program had been very successful with expenses reducing by 24.1 percent in 2018, a saving of $17.3 million in FY2018. Cost-cutting included reductions in external consulting expenses, the removal of non-core administrative roles, the closure of Wellard’s offices in Italy and South America and associated significant reduction of employee numbers in South America. Vessel utilisation, an important contributor to the Company’s financial performance, was below budget. The company said this was caused by the default of a long-term charter of three long-haul voyages on the MV Ocean Shearer in the third quarter and overall sustained difficult market trading conditions. Total revenue booked by the company was $291.1 million, down by 41.5 percent on the $497.9m recorded in FY 2017. This was largely driven by the increase in chartering activity, which in turn reduced the number of cattle and sheep bought and sold by the company and the revenue it recorded. Of the Company’s shipping capacity, 70pc was utilised on external charter voyages in FY2018, compared to just 15.6pc in FY2017. This contributed to a 44.9pc increase in gross profit from $27.6 million in FY2017 to $40.0 million in FY2018. Wellard’s operating cashflows before interest improved from an outflow of $10.7 million in FY2017 to operating cash inflows of $7.7 million in FY2018. Wellard said a number of key balance sheet metrics were improved in FY2018. Net debt reduced from $143.3 million to $136.6 million, interest cover ratio improved from (2.2):1 to 1:1 and its total loan to total asset book value decreased from 76.4% to 70.1%. However, FY2018 net assets reduced from $131.2 million to $101.5 million, with the impairment of the Company’s previous MV Ocean Kelpie progress payments contributing to approximately half of that change. Wellard said the company experienced improved trading results in the final quarter of FY 2018 and expected those results to flow through to the first quarter of FY2019. Under its refocused strategy Wellard had already contracted a significant percentage of its fleet out to third party charterers, which it said provided the company with greater earnings visibility and security. Mr Klepec said Wellard was adopting a more opportunistic approach to trading cattle to South East Asia. In its Annual Report released overnight Wellard highlighted the growth that has occurred in cattle exports from Brazil and Uruguay and in imports by Turkey. During the 2017 calendar year approximately 670,000 head of cattle were exported from Brazil and Uruguay combined. The report said some estimates expect this number to grow to 900,000 head during the 2018 calendar year, with the principal destination being Turkey. Due to the long journey times involved in shipping livestock from South America to the Mediterranean and the Middle East, this trade route has absorbed a significant proportion of the global livestock shipping capacity. In the past two years, Turkey’s live cattle imports have grown from 203,000 head in 2015 to 896,000 head in 2017. Wellard has chartered one large vessel, the MV Ocean Shearer, until the end of the 2018 calendar year on successive South America to Turkey voyages, which it said ensures the vessel is fully utilised and providing Wellard with earnings visibility for that vessel for the first half of FY2019. 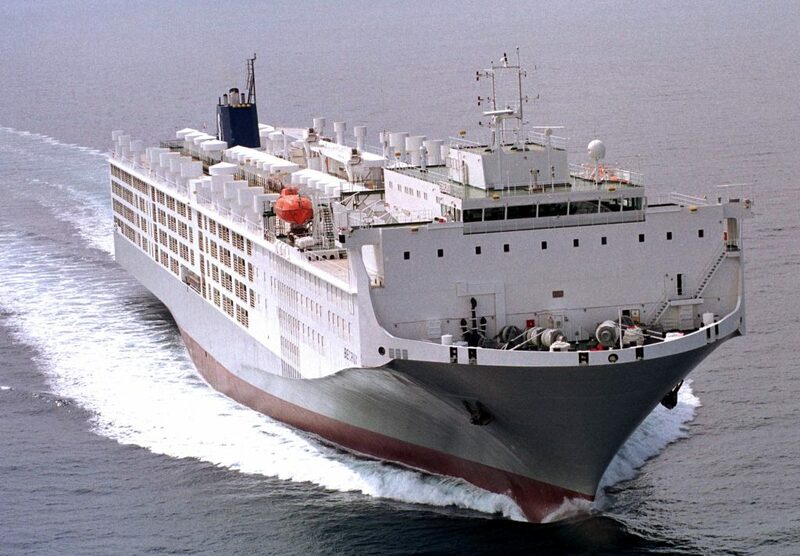 It said the MV Ocean Drover had returned to the South East Asian routes in May and was currently undertaking the first of consecutive shipments of cattle to Indonesia. “If prices remain subdued or soften, then there will be continued opportunities to export large volumes until the Northern Australian wet season begins to restrict numbers. “A falling Australian dollar, the decline in the number of cattle on feed in Indonesia and the return to a profitable trading environment for Indonesian cattle importers did provide import demand and therefore better live export margins in the last quarter of the financial year. The company said live slaughter and feeder cattle exports to China remained “a work in progress”. “To be commercially sustainable and to provide the economies of scale required to be competitive, exporters and importers require large-sized cattle shipments,” the company report said. “The ability of the Chinese consumer market to absorb big numbers is unquestionable, however to date very strict import protocols, such as the requirement to slaughter all cattle from a shipment within 14 days of arrival, are limiting importers’ ability to purchase large-sized cattle consignments. “Some conservatism in the creation and early application of the protocols was expected. The signing of an import protocol between Australia and China, to allow slaughter and feeder cattle imports, was a landmark agreement. However, to date there has been little progress in efforts to seek an official review of the importing restrictions. Wellard said it was also closely watching the escalating trade tariff tensions between the USA and China to determine any impact on its earnings. Wellard said it currently has little exposure to the Middle East live sheep market, so the interruption of sheep shipments into the region has not materially impacted the Company’s results. Wellard should consider loading a bulk cargo vessel with pellets from their Wongan Hills plant,ex Geraldton port to an eastern states location.Say for instance,an 8000 tonne vessel. When long-term debt becomes current as a result of default in repayment the dominoes start to fall.